...testing the effectiveness of prescribing more than just medicine. This spring, Kindling will be working with doctors and volunteers to develop and trial something called ‘social prescribing’, based around our Woodbank site in Stockport. 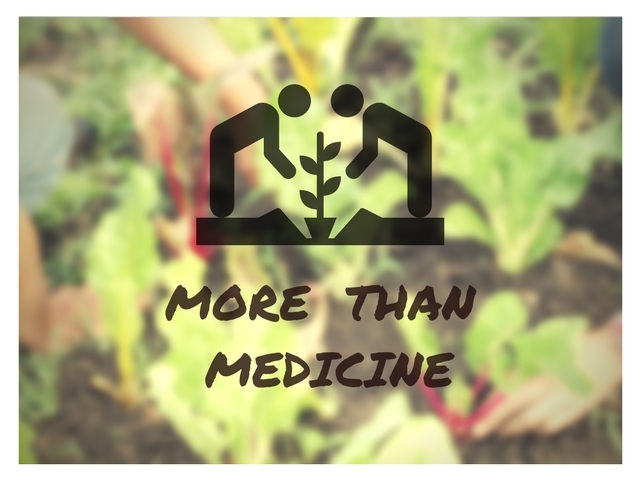 GPs will be referring interested patients for a programme involving healthy veg (through Veg Box People), cookery sessions and exercise in the form of gardening, instead of medicines – in the hope that this might be a more effective way to alleviate some moderate health conditions. Social prescribing recognises that peoples’ health is affected by a whole range of factors, and tries to address their needs more broadly. It also aims to support people to take greater control of their own health. Working with this amazing GP’s practice and their volunteers to develop this programme is a really exciting development for Kindling. The social prescribing package – making local organic veg accessible to a really wide range of people and engaging them in producing it - is a perfect example of the kind of model we want to help build, where poor wellbeing, economic inequality, isolation and sustainability are tackled together rather than being seen as disparate or competing challenges. Already home to our Stockport FarmStart site, Woodbank is fast becoming a real hub for urban agriculture, joining up inclusive community gardening with commercial organic food production. Watch this space for updates on the pilot, we can't wait to begin!